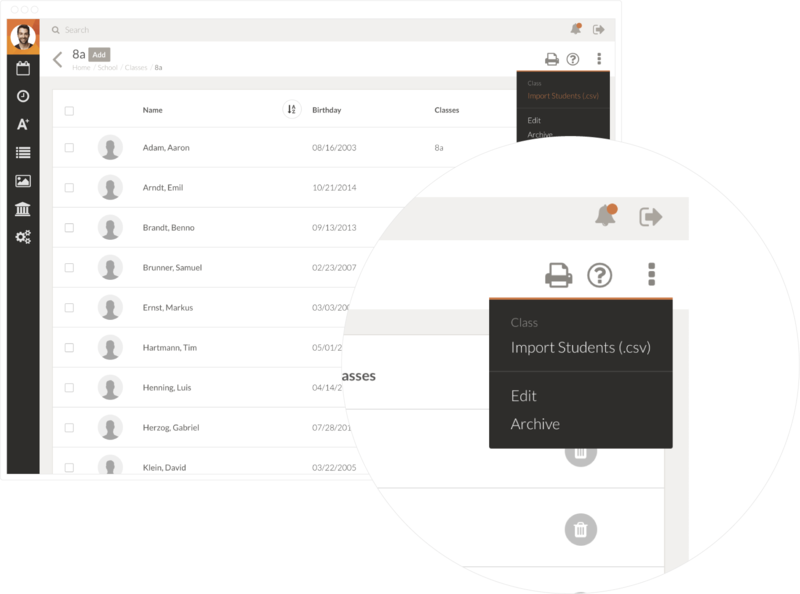 Use TEGO.CLASS to easily and quickly import all information and data regarding your students, your classes or your subjects. 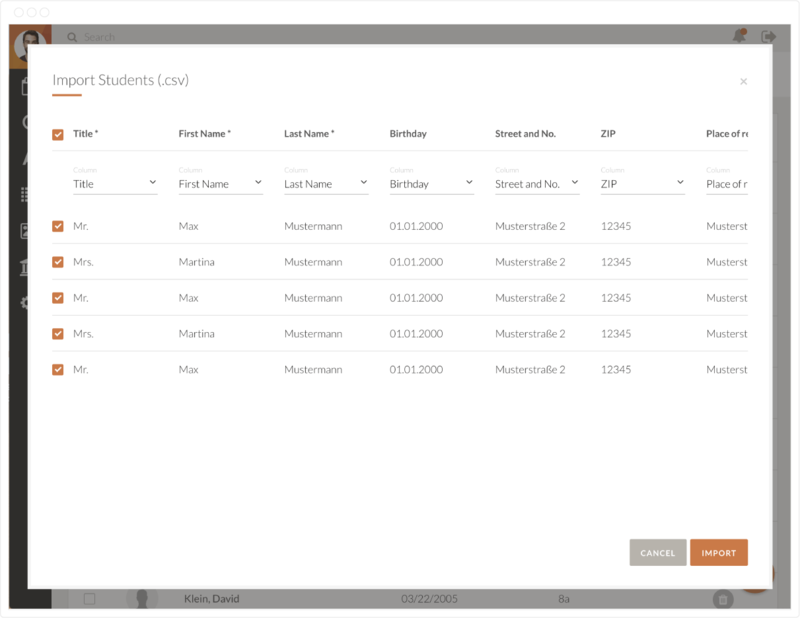 Use our TEGO.CLASS CSV-template to easily and quickly import everything regarding your students’ information and data. The days of manually importing every single file there is are over — using TEGO.CLASS, you can import all information and data regarding your students, classes and subjects all at once. Simply download our CSV-template and get started. Our CVS-based template can be easily accessed and edited using any spreadsheet program of your choice, such as Excel, Numbers or OpenOffice Calc. 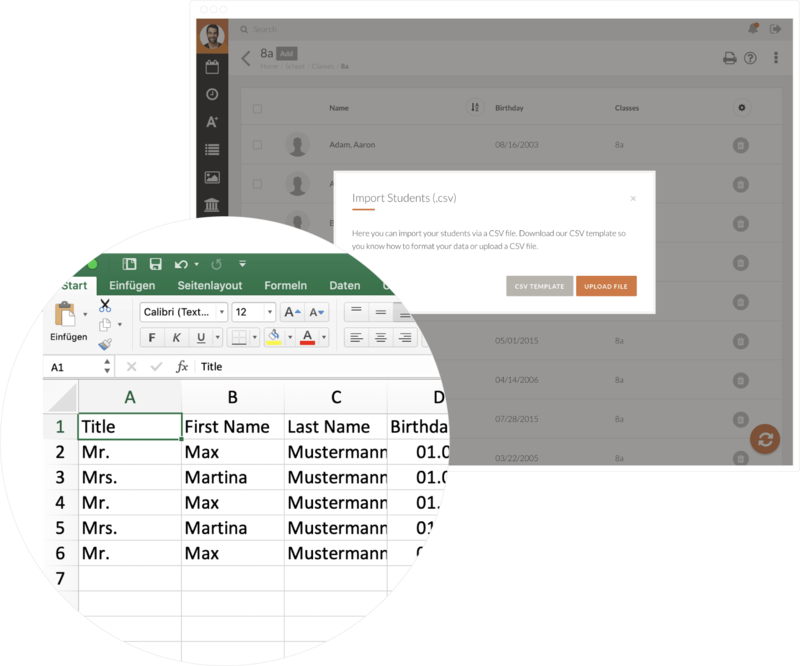 Enter all data and information regarding your students into the template. Ask your school to provide you with a digital student list for each of your classes, making working with the template even easier. After entering all information and data regarding your students into our template, you can import it into TEGO.CLASS. Before finalising your import, TEGO.CLASS automatically checks the template for mistakes and gives you a chance to edit and make changes one last time. Use TEGO.CLASS one month without paying any fees while testing its full scope of functions.